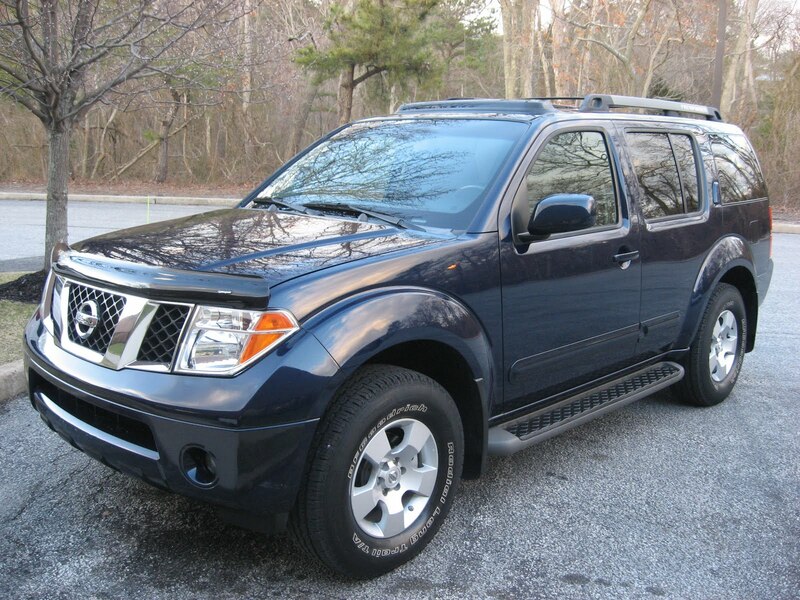 Today from Pumpkin Fine Cars we present to you this absolutely pristine 2006 Nissan Pathfinder SE. With a completely Spotless CarFax Report and only 51k miles, this one is truly a fantastic value priced at $16,995. It has a very sharp Navy Blue exterior with a Gray cloth interior and has a true third row which will allow you to seat up to seven passengers. It is equipped with All Wheel Drive for off-road functionality as well as the ability to get going in rough weather conditions. The Nissan Pathfinder comes standard with stability control and four-wheel antilock disc brakes with Electronic Brakeforce Distribution and BrakeAssist and in NHTSA testing, the Pathfinder earned four out of five stars for front-occupant protection in head-on impacts. Five stars were awarded for protection of both front and rear occupants in side-impact crashes. 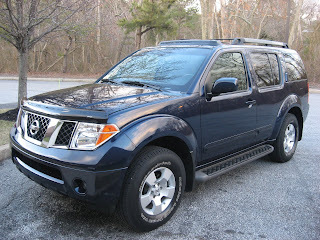 As far as options, this Pathfinder has some great ones, like a Power driver's seat, alloy wheels, a CD player, fixed running boards, and privacy glass windows and much more! 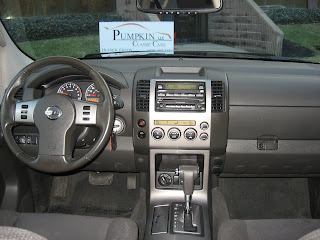 This truck was hand-picked by Franck Freon, as are all Pumpkin Cars in our inventory. As part of our unwavering Pumpkin Certification process it was also test driven by Franck to be assessed for both mechanical and cosmetic needs, fully serviced based on Franck's notes and recommendations, professionally detailed and is ready to make one of our great customer very happy! Please swing by our unique indoor showroom on Fire Rd in Egg Harbor Township where the friendly and knowledgeable Pumpkin staff is ready to get you on the road today!